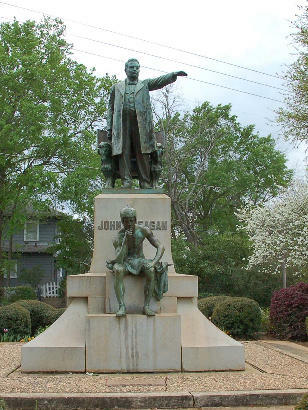 John Henninger Reagan, and John H. Reagan Memorial, Palestine, Texas. 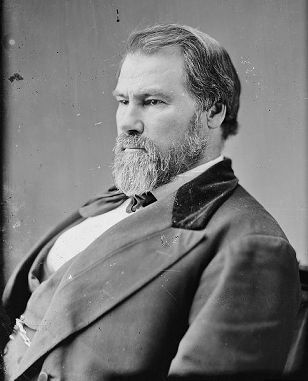 John Henninger Reagan, known as �The Old Roman� served as the Confederate Postmaster General and also as Confederate Secretary of the Treasury. But his public service wasn�t limited to the Confederate States. After the war, Reagan served as a U.S. Senator and while serving in that capacity, he posed for the photographic portrait (above) by famed Civil War photographer Mathew Brady. 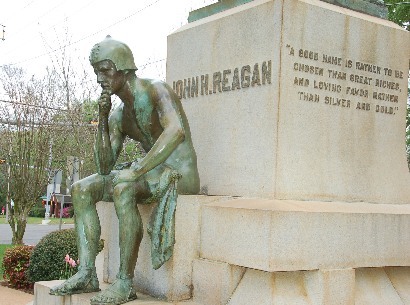 The second figure on the Reagan Monument shows a seated pensive soldier in Roman dress, holding a Confederate flag on a broken staff. His leather helmet is embossed with stars representing the thirteen states of the Confederacy. Although Coppini arrived long after the war was over, he created some of the most poignant statues of that conflict. His Confederate soldier in Victoria, Texas is one of the best of its kind. 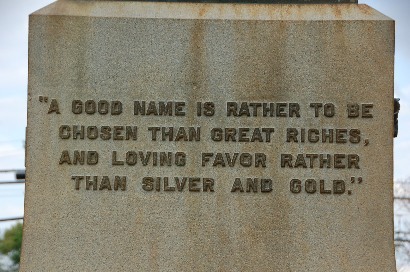 The Reagan Memorial is in Reagan Park in Palestine, near the intersection of Reagan and Crockett Streets. 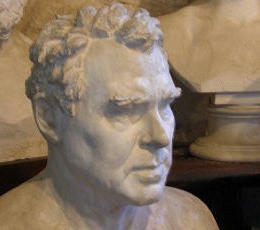 *Information from A Comprehensive Guide to Outdoor Sculpture in Texas by Carrol Morris Little. 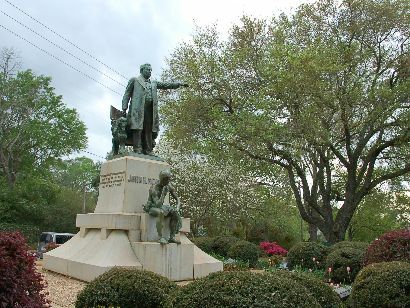 Born in Tennessee, he left in 1838 to come to Texas via Natchez, Mississippi. He participated in the Cherokee War in 1839 and then worked as a surveyor. After statehood, he was elected first county judge of Henderson County and in 1847 he became a member of Texas� second legislature. He was reelected as Henderson County judge in 1856 and became a US Congressman from East Texas. In 1859 he won reelection but resigned his seat to become the Confederate Postmaster General in 1861. At the end of the Civil War, Reagan was captured with other members of Jefferson Davis� cabinet near Abbeville, Georgia. Held in solitary confinement in Boston for nearly six months, Reagan appealed to the people of Texas to recognize that they were back to being a part of the Union, but it didn�t win him friends. He returned to Texas in December of 1865. Reagan, who was proven right on how Texas would fare by opposing reunification, became known as �The Old Roman.� He was given amnesty, and his citizenship was restored. From 1875 to 1887 Reagan served in Congress before being elected to the U.S. Senate. 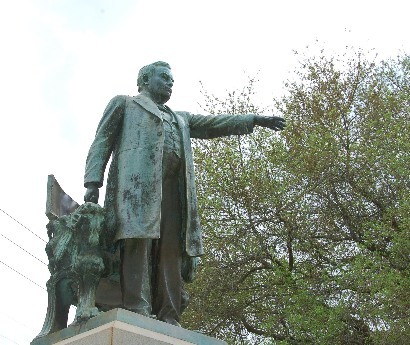 He became the first Railroad Commissioner of Texas when that body was formed in 1891. Reagan ran unsuccessfully for governor in 1894 and remained chairman of the Railroad Commission until 1903 when he retired and returned to Palestine. He died there two years later of pneumonia.